FACEBOOK HAS LAUNCHED a new educational campaign to help people better understand how to manage their own data. 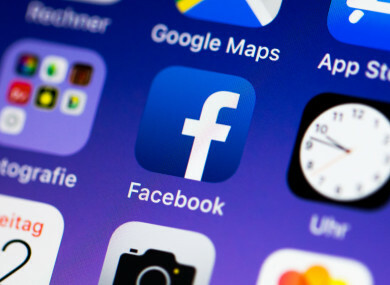 The social media giant has published its privacy principles for the first time and is rolling out educational videos into the News Feed to help users control who has access to their information. Facebook has said that it has never before published its principles online. The announcement was made in anticipation of the EU’s new General Data Protection Regulation, which comes into effect on 25 May. It will replace the existing data protection framework in the EU. The regulation will emphasise transparency, security and accountability by data controllers and processors, while also standardising and strengthening the rights of European citizens to data privacy. Facebook privacy settings are customisable, and every user has the power to decide who sees certain posts and how discoverable their profile is. However, it has long been the case that not all users are fully aware of these settings. “We recognise that people use Facebook to connect, but not everyone wants to share everything with everyone – including with us. It’s important that you have choices when it comes to how your data is used,” Facebook’s chief privacy officer Erin Egan said. Facebook’s privacy principles include helping users understand how their data is used, how the company keeps data secure, how users can delete information, improving new controls and being accountable to regulators. “We put products through rigorous data security testing. We also meet with regulators, legislators and privacy experts around the world to get input on our data practices and policies,” Egan said. Email “Facebook is making privacy settings easier to find ahead of strict new EU law”. Feedback on “Facebook is making privacy settings easier to find ahead of strict new EU law”.